A chain reaction of market distress sent global stock exchanges plummeting in a matter of hours. In the United States, the Dow Jones Industrial Average (DJIA) dropped 22.6 percent in a single trading session, a loss that remains the largest one-day stock market decline in history. At the time, it also marked the sharpest market downturn in the United States since the Great Depression. The Black Monday events served to underscore the concept of “globalization,” which was still quite new at the time, by demonstrating the unprecedented extent to which financial markets worldwide had become intertwined and technologically interconnected. Black Monday led to a number of noteworthy reforms, including exchanges developing provisions to pause trading temporarily in the event of rapid market sell-offs. In addition, the Federal Reserve’s response set a precedent for the central bank’s use of “liquidity” to stem financial crises. 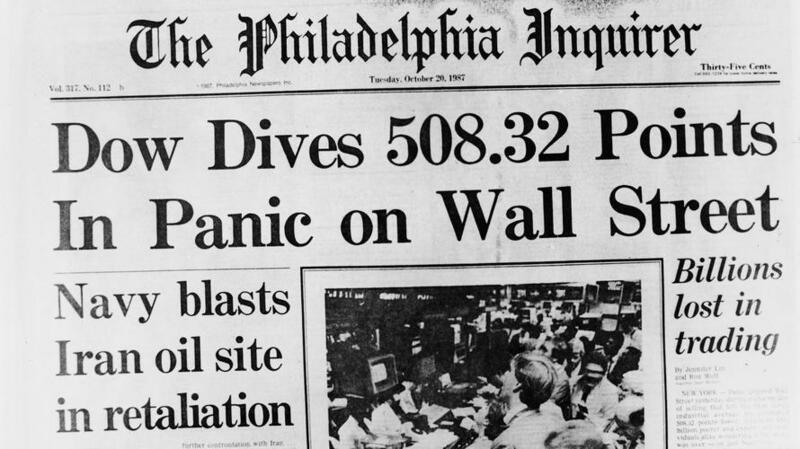 Stock markets raced upward during the first half of 1987. By late August, the DJIA had gained 44 percent in a matter of seven months, stoking concerns of an asset bubble. In mid-October, a storm cloud of news reports undermined investor confidence and led to additional volatility in markets. The federal government disclosed a larger-than-expected trade deficit and the dollar fell in value. The markets began to unravel, foreshadowing the record losses that would develop a week later. Beginning on October 14, a number of markets began incurring large daily losses. On October 16, the rolling sell-offs coincided with an event known as “triple witching,” which describes the circumstances when monthly expirations of options and futures contracts occurred on the same day. By the end of the trading day on October 16, which was a Friday, the DJIA had lost 4.6 percent. The weekend trading break offered only a brief reprieve; Treasury Secretary James Baker on Saturday, October 17, publicly threatened to de-value the US dollar in order to narrow the nation’s widening trade deficit. Even before US markets opened for trading on Monday morning, stock markets in and around Asia began plunging. Additional investors moved to liquidate positions, and the number of sell orders vastly outnumbered willing buyers near previous prices, creating a cascade in stock markets. In the most severe case, New Zealand’s stock market fell 60 percent. Traders reported racing each other to the pits to sell. In the United States, the DJIA crashed at the opening bell and eventually finished down 508 points, or 22.6 percent. "There is so much psychological togetherness that seems to have worked both on the up side and on the down side,” Andrew Grove, chief executive of technology company Intel Corp., said in an interview. “It’s a little like a theater where someone yells 'Fire!'" (Glaberson 1987). “It felt really scary,” said Thomas Thrall, a senior professional at the Federal Reserve Bank of Chicago, who was then a trader at the Chicago Mercantile Exchange. For the first time, investors could watch on live television as a financial crisis spread market to market – in much the same way viruses move through human populations and computer networks. "You learn how interrelated we all are and how small we are,” said Donald Marron, chairman of Paine Webber, at the time a prominent investment firm. 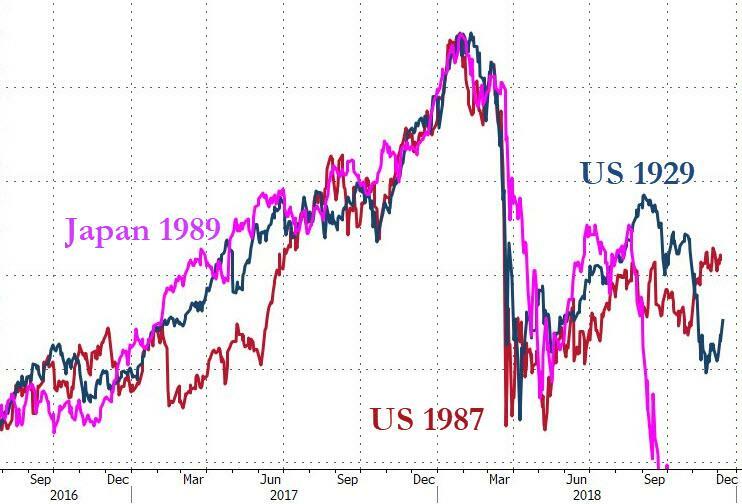 “Nowhere is that exemplified more than people staying up all night to watch the Japanese market to get a feeling for what might happen in the next session of the New York market” (Cowen 1987). In the aftermath of the Black Monday events, regulators and economists identified a handful of likely causes: In the preceding years, international investors had become increasingly active in US markets, accounting for some of the rapid pre-crisis appreciation in stock prices. In addition, a new product from US investment firms, known as “portfolio insurance,” had become very popular. It included extensive use of options and derivatives and accelerated the crash’s pace as initial losses led to further rounds of selling. A number of structural flaws in the market exacerbated the Black Monday losses; in the years that followed, regulators would address these structural flaws with reforms. At the time of the crisis, stock, options, and futures markets used different timelines for the clearing and settlements of trades, creating the potential for negative trading account balances and, by extension, forced liquidations. Additionally, securities exchanges had been powerless to intervene in the face of large-volume selling and rapid market declines. After Black Monday, regulators overhauled trade-clearing protocols to bring uniformity to all prominent market products. They also developed new rules, known as circuit breakers, allowing exchanges to halt trading temporarily in instances of exceptionally large price declines. For example, under current rules, the New York Stock Exchange will temporarily halt trading when the S&P 500 stock index declines 7 percent, 13 percent, and 20 percent in order to provide investors “the ability to make informed choices during periods of high market volatility.” In the wake of the Black Monday episode, risk managers also recalibrated the way they valued options. In a statement on October 20, 1987, Fed Chairman Alan Greenspan said, “The Federal Reserve, consistent with its responsibilities as the Nation's central bank, affirmed today its readiness to serve as a source of liquidity to support the economic and financial system” (Carlson 2006, 10). Behind the scenes, the Fed encouraged banks to continue to lend on their usual terms. Ben Bernanke, writing in 1990, noted that “making these loans must have been a money-losing strategy from the point of view of the banks (and the Fed); otherwise, Fed persuasion would not have been needed. But lending was a good strategy for the preservation of the system as a whole” (Bernanke 1990). According to Bernanke, the 10 largest New York banks nearly doubled their lending to securities firms during the week of October 19 even though discount window borrowings didn’t themselves increase (Garcia 1989). Some experts argue the Fed’s response to Black Monday ushered in a new era of investor confidence in the central bank’s ability to calm severe market downturns. Unlike many prior financial crises, the sharp losses stemming from Black Monday were not followed by an economic recession or a banking crisis. Former Fed Vice Chairman Donald Kohn said, “Unlike previous financial crises, the 1987 stock market decline was not associated with a deposit run or any other problem in the banking sector” (Kohn 2006). On the other hand, some argue that the Fed’s response set a precedent that had the potential to exacerbate moral hazard (Cecchetti and Disyatat 2010).